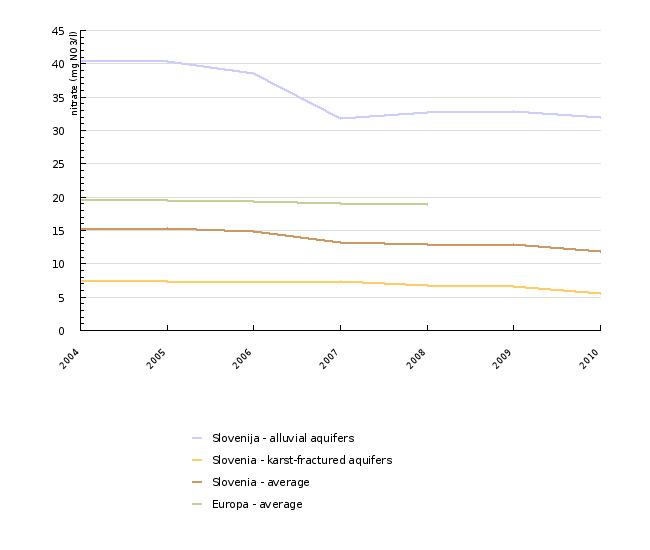 Slovenian groundwater bodies most polluted with nitrates are those with intergranular (alluvium) aquifers, particularly in northeastern Slovenia. Groundwater in karst and fractured aquifers is due to geographical conditions, low population density and scarce agricultural land less burdened with nitrates. 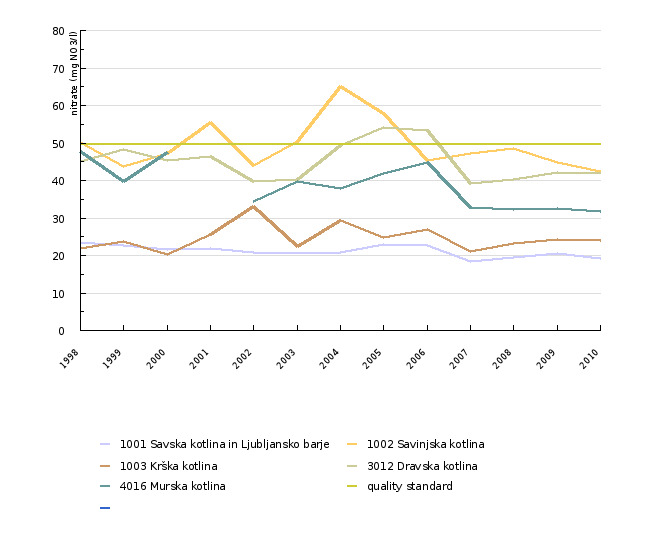 On water bodies Mura basin and Savinja basin average annual levels of nitrate in the period from 1998 to 2010 show a statistically significant downward trend in nitrate levels. 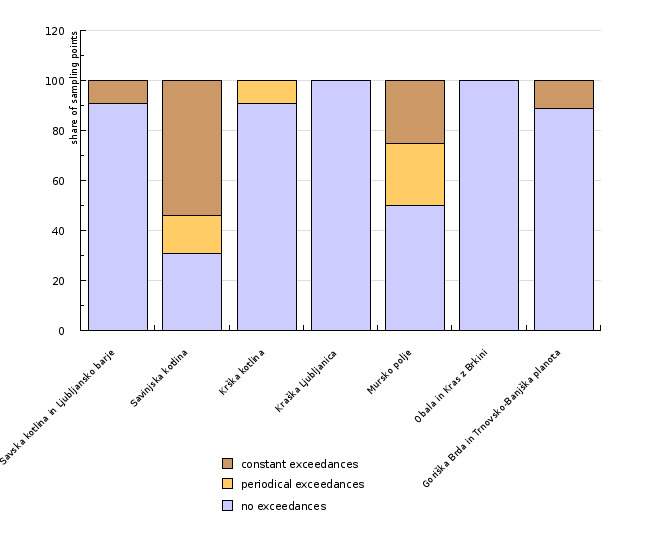 On the other water bodies declining nitrate levels are not statistically significant. 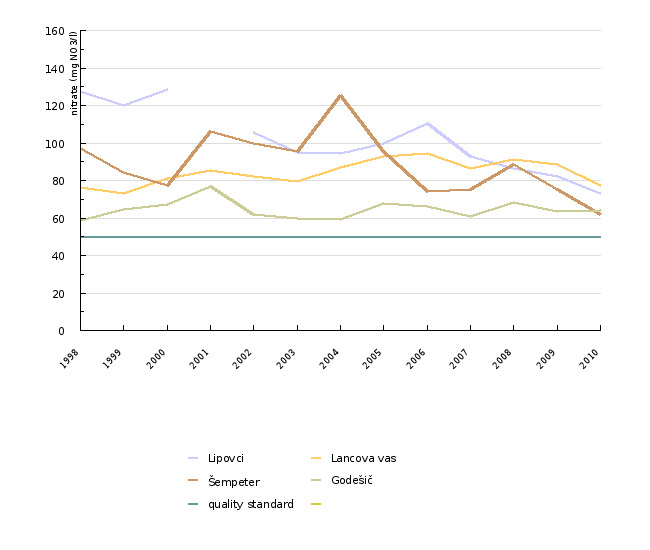 Figure VD05-5: The declining trend of the nitrate concentration in water bodies Mura basin and Savinja basin in the period 1998-2010.